I know the security control module needs to be replaced, but I do not know where it is located. Do you know where it is located in my vehicle? IMPORTANT: When replacing a theft deterrent control module with an GM Service Parts Operation (SPO) Replacement Part, set up the control module prior to the 10-minute relearn procedure or the 30-minute relearn procedure. Use this procedure only if replacing the theft deterrent control module with an GM SPO Replacement Part. With a scan tool, select Setup New VTD Module in the Vehicle Theft Deterrent, Special Functions data list. Follow the scan tool on-screen instructions. When replacing a theft deterrent control module with an GM SPO Replacement Part, the module will learn the keys immediately. The existing powertrain control module (PCM) must learn the new fuel continue password when you replace the theft deterrent control module. When replacing a PCM with a GM SPO Replacement Part, the new PCM will learn the incoming fuel continue password immediately after programming and upon receipt of a password message. Once a password message is received and a password is learned, perform the learn procedure to change this password again. A PCM which had been installed in another vehicle will have learned the fuel continue password of the other vehicle's theft deterrent control module. Perform either the 10-minute relearn procedure or the 30-minute relearn procedure after programming to learn the fuel continue password of the current vehicle's theft deterrent control modules. When performing either relearn procedure, all previously learned keys will be erased from the theft deterrent control module's memory. Additional keys may be learned immediately after the first relearn procedure by inserting the additional key and turning the ignition to RUN within 10 seconds of removing the previously learned key. Use only a master key when performing the first relearn procedure. If you use a valet key first, the theft deterrent control module will not allow additional keys to be learned. IMPORTANT: If replacing a theft deterrent control module with a GM SPO Replacement Part, perform the procedure to setup a new theft deterrent control module prior to the 10-minute relearn procedure. With a scan tool, select Request Info. Under Service Programming System and follow the scan tool on-screen instructions. On the Techline Terminal, select Service Programming System and follow the Techline Terminal on-screen instructions. Disconnect the scan tool from the Techline Terminal and re-connect the scan tool to the vehicle. With a master passkey III key, turn ON the ignition with the engine OFF. At this point the scan tool must remain connected for the duration of the 10-minute relearn procedure. IMPORTANT: On some vehicles the SECURITY telltale maybe illuminated on steady for the duration of the 10-minute relearn procedure. Observe the scan tool, after approximately 10 minutes the scan tool will display "Programming Successful, Turn OFF Ignition". The vehicle is now ready to relearn the key information and/or the passwords on the next ignition switch transition from OFF to ON. Turn OFF the ignition and wait 5 seconds. With a master Passkey III key, start the vehicle. The theft deterrent control module has now learned the key transponder information and the PCM has now learned the fuel continue password. IMPORTANT: Perform this step ONLY on vehicles with EXPORT configured theft deterrent control modules. Turn OFF the ignition and wait 15 seconds minimum. IMPORTANT: This procedure is not available on vehicles equipped with option code (Z49 or BAE). If replacing a theft deterrent control module with an GM SPO Replacement Part, perform the procedure to setup a new theft deterrent control module prior to the 30-minute relearn procedure. With a master passkey III key (Black), turn ON the ignition, with the engine OFF. Repeat steps 1-3 two more limes for a total of 3 cycles or 30 minutes. With a master passkey III key, start the vehicle. The vehicle has now learned the key transponder information and the PCM has now learned the fuel continue password. "For a description of the RPO Code(s) shown in this article or any of the images therein, refer to the RPO Code List found at Vehicle/Application ID". Is there another part to the security system other than the part by the key? Because I have already replaced that and the van still will not start. So I know it is not the pass-key III part that you are showing in the diagram. Is there anything else that could be making the van not start? I have tried everything I can think of. Does the security light flash when you are trying to start it? Have you checked the Passkey and Passkey PCM fuses? Here are the fuse locations. Check out the diagrams (below). Please let us know what you find. We are interested to see what it is. I have checked all fuses, replaced the key cylinder, key switch, and passkey III. And sometimes the security light flashes and sometimes it does not, and there will be times that it starts just fine and other times it will not. It tries and it cranks but never fires. I can spray some started fluid to trick it to start but it will not always run. My last thought is it is just the computer as a whole, I have no idea what else it could be. And also there are no codes that come up so I have checked and done everything I could think of and nothing. I am at a complete loss and really hope you have an idea. Lets try to do a system relearn. Leave the key in the on position until the security light stops flashing should be about thirty minutes, then turn the key off and then restart it within five seconds of turning the key off. Please let me know. I have done that many times and does not do anything. Can we run the codes to see what comes up? I have read the codes multiple times and nothing comes up. It sound like the BCM has gone bad or the system program has become corrupt. This mean you will need to take it to a shop that can reprogram the security portion of the BCM. Okay, well I have no way to get it anywhere. Can you get a tow truck? If you know someone that has a truck you can rent a trailer. I do not have the money to do it especially if I do not know for sure that that is what is wrong. 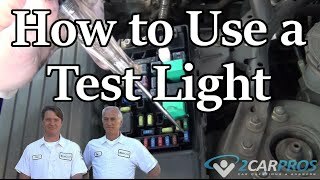 Use this guide to check the wiring and if you have done the relearn and still the security light flashes then it will be the problem. The security light does not flash. It cranks and tries to start but never fires. Will it run if you use starting fluid? It will start and run for a little bit then shut off. Can you turn the key to the on position without cranking the engine over you should hear the fuel pump prime for five seconds? Yes, it does that the fuel pump is pretty much brand new. I replaced that thinking it was that first. Security System Will Not Allow Vehicle To Start. Ten Minute Relearn Procedure Has No Results. How Can I Get My Alarm To Work Again?